Daring, unique, playful are just a few words that come top of mind when experiencing one of Chef Yann Lejard's signature dishes. Like a modern-day disruptor turning the simplicities of food into plated works of our art, his talents have taken him across Europe, into major Michelin Star restaurants, before arriving to the region, first in Saudi and then to the Kingdom of Bahrain in 2014 where he assumed the role of Chef de Cuisine for the award-winning Plums restaurant. 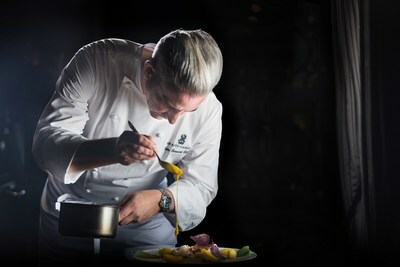 Proving his leadership with a promotion to Executive Sous Chef in 2016, in his new role as Executive Chef of the five-star Ritz-Carlton, Bahrain, Lejard will oversee a culinary team of 130 chefs, along with the menu creation and kitchen operations of the resort's 11 restaurants, in-room dining and banquet catering divisions.